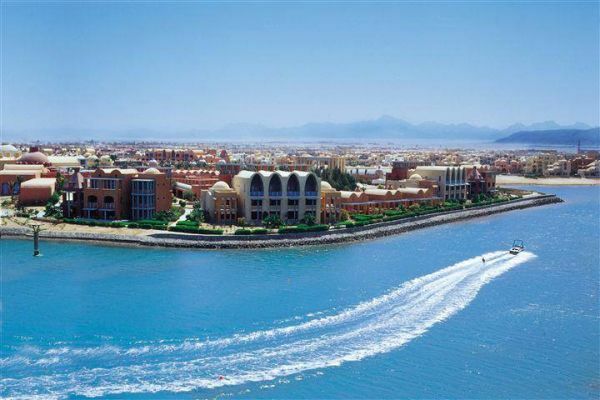 The city of Safaga, famous for its international port, is located 60 kilometers to the South of Hurghada. Safaga was constructed in 1911 with the discovery of Phosphate in the area. During the past decade, many touristic facilities, resorts, and hotels were constructed in and around the city, the fact that encouraged many travelers to choose the best tours to Safaga to enjoy the wonders of the Red Sea. Recently, during the past few years, it was discovered that the climate, the sands, and the high percentage of salt in the sea in Safaga heal from a number of diseases as well like: Rheumatoid arthritis and psoriasis which even encouraged the older tourists to visit the city. The Safaga Port welcomes a large number of tourists every year who spend a day or two enjoying the wonders of Egypt. Safaga is also a fabulous place to enjoy water skiing with many centers that provide the best equipments to enjoy this famous activity. Hosting some of the hot diving spots in Egypt, Safaga would make the perfect choice for viewing the rarest coral reefs in the Red Sea through diving or a wonderful journey in a glass boat. There are also great Safari trips to be organized from Safaga to spend a night in the desert enjoying the distinguished atmosphere and the Bedouin dinner and coffee. Many travel agencies organize wonderful trips from the safaga port in Egypt to different regions in the country. After the construction of the new road linking Safaga and the Red Sea in general with the Valley of the Nile in Egypt, many travelers who visit cities like Luxor or Aswan, travel to Safaga and Hurghada to enjoy chilling out on the beach after admiring the astonishing monuments of ancient Egypt. Safaga, a new member to the touristic cities of Egypt, will certainly flourish even more during the coming few years to turn into an international resort visited by numerous tourists, the same as Sharm El Sheikh and Hurghada.